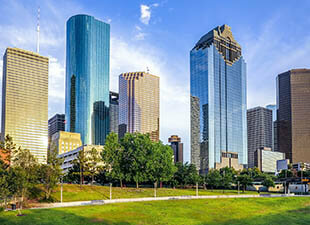 From boardwalks to theme parks, Houston, Texas is a great city for the entire family to enjoy. Use this guide to family-friendly attractions in Houston. Family fun is easy to find in Houston, regardless of what kind of “fun” your family enjoys. With so many different activities to choose from, the hardest part is usually getting everyone to agree on just one. If you’re planning a visit to Houston and the surrounding area, visiting one of its many family-friendly attractions is a great way to ensure you’re making everyone happy. Here are four places to put on your fun list — and what you can expect at each. You’ll never think of aquariums quite the same way once you’ve been to the Downtown Aquarium in Houston. 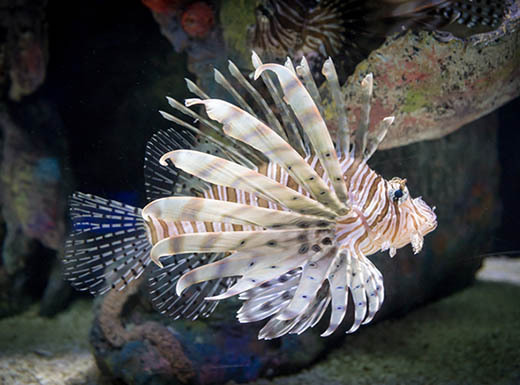 Covering six acres, this aquarium is a playground for kids of all ages and includes rides, dining experiences, arcade games, and an entire complex filled with aquatic creatures. You’ll see more than 200 different species of sea life housed here, and specialty adventure exhibits let you experience the world in a whole different way. The Shipwreck exhibit takes you deep into the ocean, while the Sunken Temple puts you inside the ruins of a lost Mayan civilization. Carnival-style games and rides add a fun twist to the traditional aquarium exhibit, and you can complete the day by eating around the 150-gallon aquarium, where something fishy is always going on. Add to the fun by signing up for one of the Family Learning Programs that allow you to tailor your adventure to your family’s interests. Who needs Coney Island when you can have the Kemah Boardwalk? This carnival is open year-round and provides a full day of excitement for all ages and interests. It’s just 20 miles from downtown Houston, and it’s definitely worth the drive. Whether you like Ferris wheels or roller coasters; arcade or midway games; or carousels and bounce houses, all you need to do is show up and prepare to be entertained. Dancing water fountains are a special not-to-miss feature, and if everyone gets tired of playing, there’s a variety of retail relaxation to enjoy at the Boardwalk’s specialty shops. Space is the place when you visit this otherworldly park. 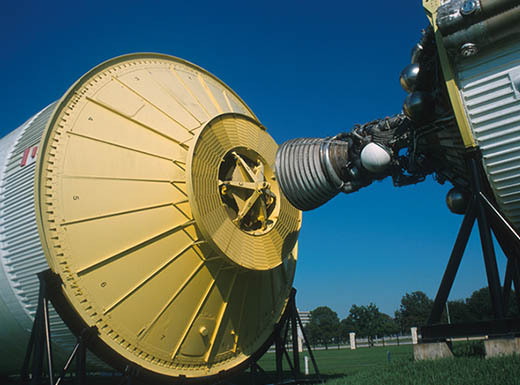 The famed Space Center Houston is as much fun for adults as it is for children, and new exhibits and events are added regularly, so you’ll want to check back and see what kind of family adventure is in store during your visit. While this isn’t the kind of theme park with a lot of rides and games, it’s one of the most engaging days you can spend with your family. And, thanks to a special projector, you can experience what it’s like to ride through the galaxy in the Feel of Space attraction. Plan your trip so you can have lunch with an astronaut. With 200,000 square feet, you can bet there are lots of good times crammed inside the Houston Funplex. The great thing about the Funplex is that it’s open rain or shine, and you don’t have to worry about trying to beat the heat in this climate-controlled space. Rides include a Ferris wheel, a bungee trampoline, kid-size airplanes, and bumper cars; there’s also a go-kart track and indoor roller skating rink. If games are your thing, you’ll find more than 150 different arcade games, ranging from favorites like Skee-Ball and Pac-Man to some of the latest and greatest new titles. The 40-lane bowling center is designed for all ages, and on Friday and Saturday nights, they turn up the tunes and fire up the laser lights for a special Rock ‘n’ Bowl night. 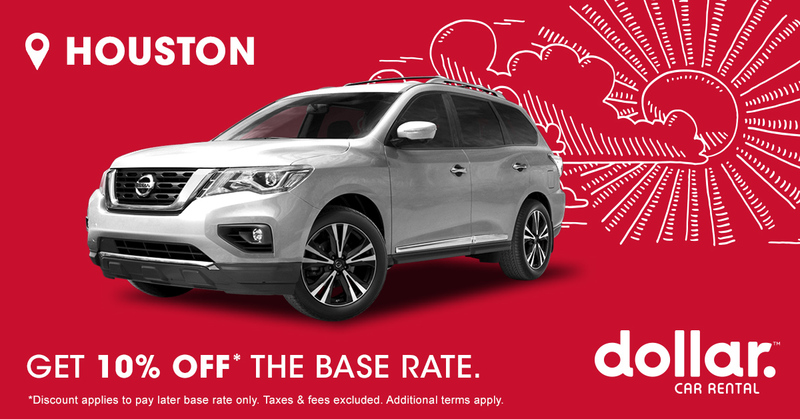 Want an even more fun-filled trip? 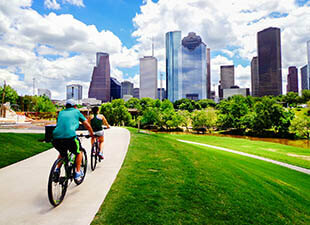 Visit our Facebook page to learn additional ideas about things to do in Houston. Searching for a new and exciting – and affordable – getaway for the family? Look no further than Houston, Texas. Here’s a guide to can’t-miss attractions that won’t break the bank. 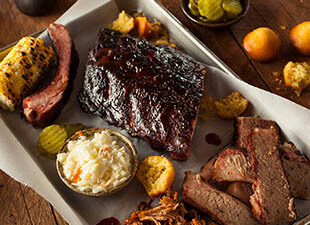 Texas and barbecue go together like macaroni and cheese, so any city in the Lone Star State offers its fair share of great barbecue spots. Houston is no exception, and it has its own collection of pitmasters and BBQ experts, all of whom will argue that theirs is the best. Even if your visit to Houston is short, you should still take time to visit the Museum District with 19 museums and 4 walkable zones.